We provide technically advanced, reliable, and cost effective AC and DC power solutions that feature fast transient response, tight regulation, high peak current capability, no switching noise (linear) and very low switching noise (PWM switching) models and low impedance. 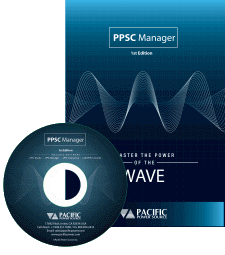 Founded in 1971, Pacific Power Source, Inc. is an early pioneer in the development of solid-state power conversion equipment and continues to develop, manufacture, and market both linear and high performance PWM AC Power Sources. Pacific Power Source’s customer base consists of major U.S. and international corporations. Markets served include test and measurement instrumentation, household appliance and consumer product manufacturing, military, aerospace, aviation, communication, industrial, computer and government agencies. 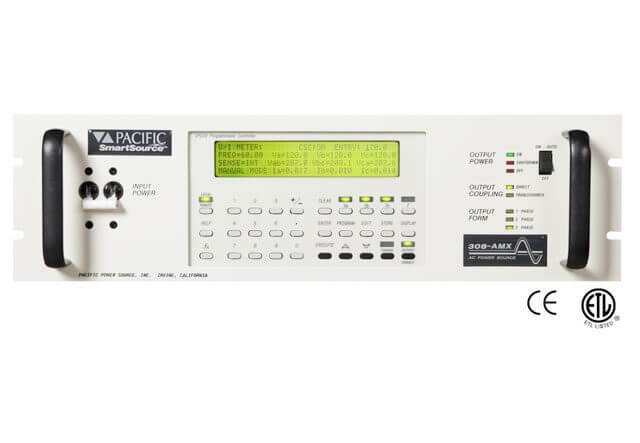 In addition to our standard product line, we develop custom and specialty products to assist customers with specific or unique test requirements such as DC/AC inverters, power line conditioners and fully integrated ATE systems; delivering product exactly to customer specifications. A family of high-performance linear AC Power Sources that excel in applications where waveform fidelity, high peak current and low output impedance are required. Available in either manual or programmable versions, cataloged power ratings range from 500 VA to 30kvA. 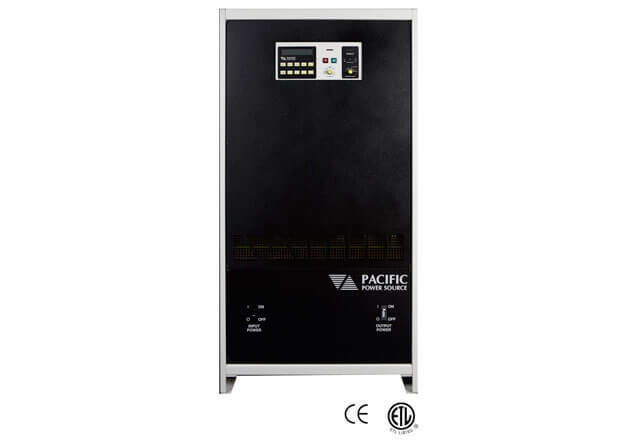 A family of high-performance pulse width modulated (PWM) AC Power Sources, Output power ratings are based on the most severe combination of input line, output voltage, power factor and temperature. The ASX Series is the preferred solution solution when high conversion efficiency and in low power factor loads are anticipated. 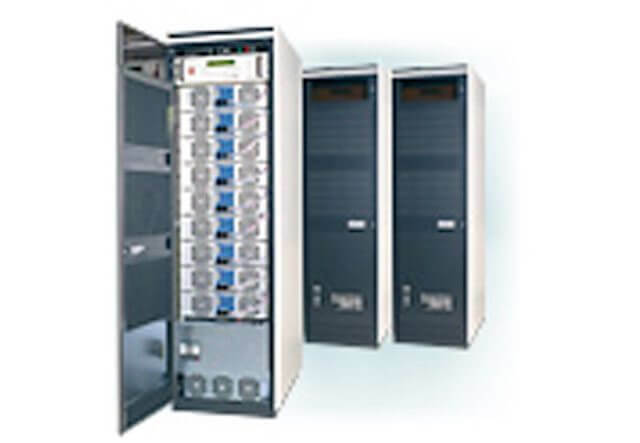 Availale in either manual or programmable versions, cataloged power ratings range from 1500VA to 12kVA. The AFX Series is a family of high power, single, split and three phase Power Sources and High Power Cabinet Systems capable of both AC and DC output. Available models range from 6 kVA/kW to 150 kVA/kW. 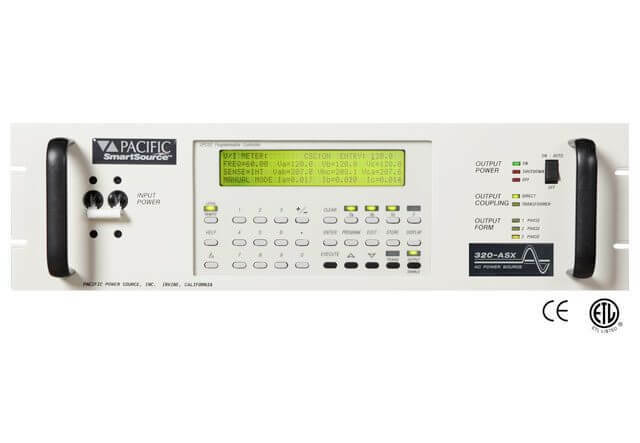 Pacific Power Source’s line of solid-state high power line conditioners.frequency converters. The 3060-MS offers the unique ability to parallel units in the field creating power source systems that range from 62.5 kVA to greater than 625 kVA of power. 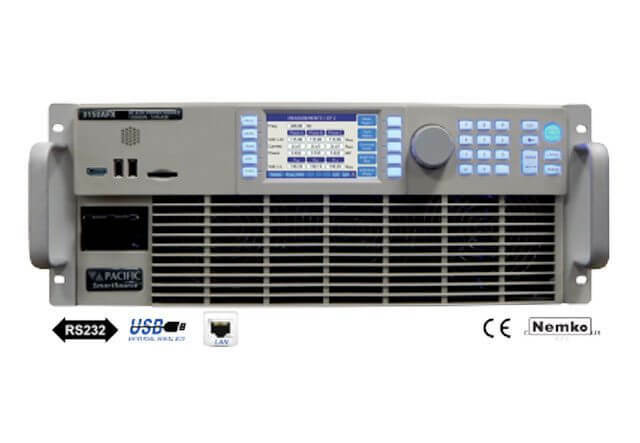 A readily configurable programmable AC Test power system, G-Series Power Sources offer modifiable linear power amplifiers with power ratings from 6 VA to 90 kVA at frequencies ranging from 45 to 5,000 Hz. 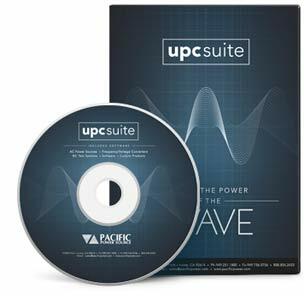 UPC Studio Software allows exceptional control of UPC-equipped Pacific AC Power Sources. Operated from a host PC’s remote interface, UPC Studio allows control and measurement functions in a greatly enhanced, easy-to-use, graphical interface. Pacific Power Source’s reputation as a market and technology leader is best demonstrated by its continuing investments in both research and development and world-wide customer support. With corporate owned offices in the United States, Germany, United Kingdom and China, local personalized support is always available. Providing outstanding customer service and product solutions is our highest priority.